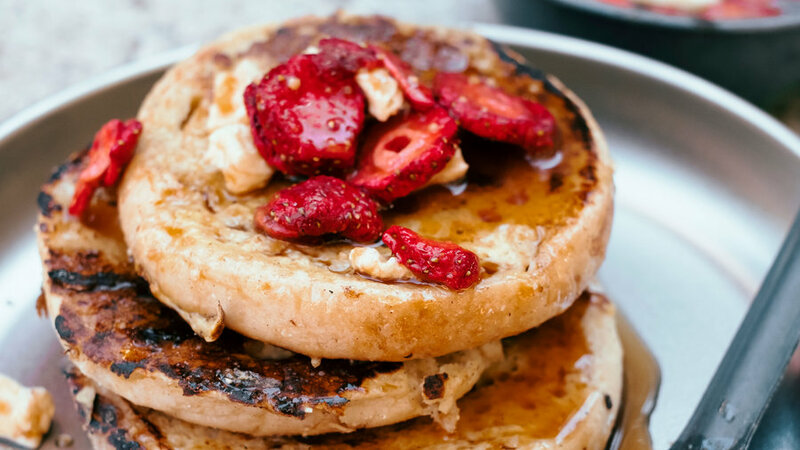 High-quality powdered eggs and milk make a big difference when it comes to good French toast in the backcountry, but syrup made from freeze-dried fruit and maple sugar seals the deal. 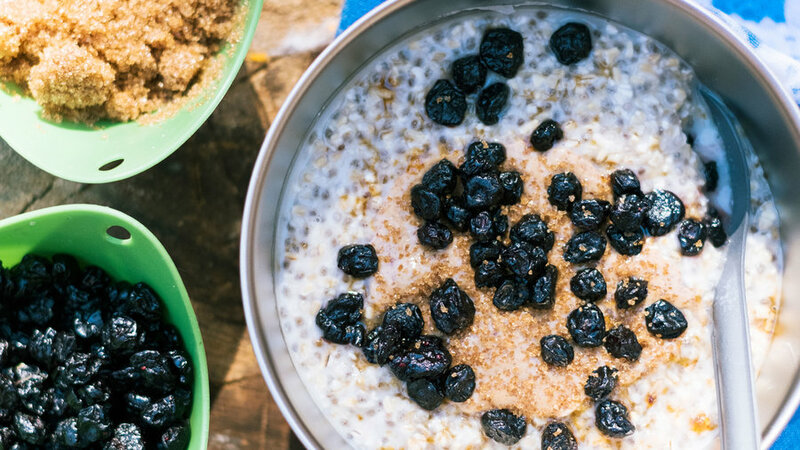 Here’s proof that you can create a backpacking meal out of ingredients you can find at a regular grocery store—in this case, steel-cut oats, chia seeds, dried blueberries, and almond butter. 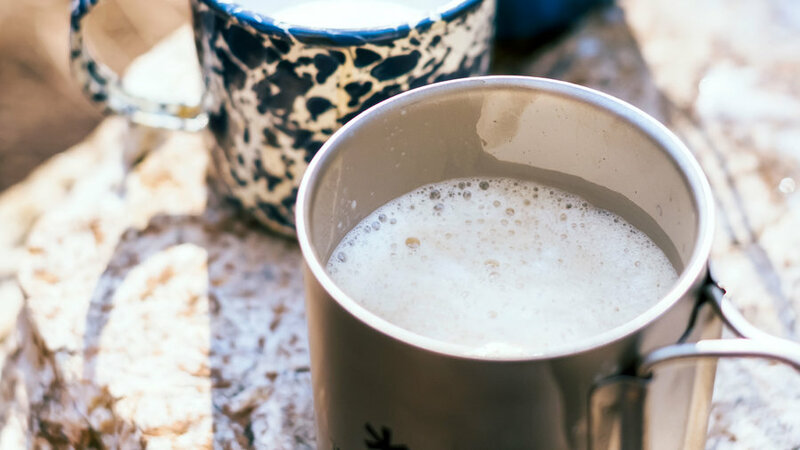 Just because you’re backpacking doesn’t mean you have to give up a great cup of coffee. 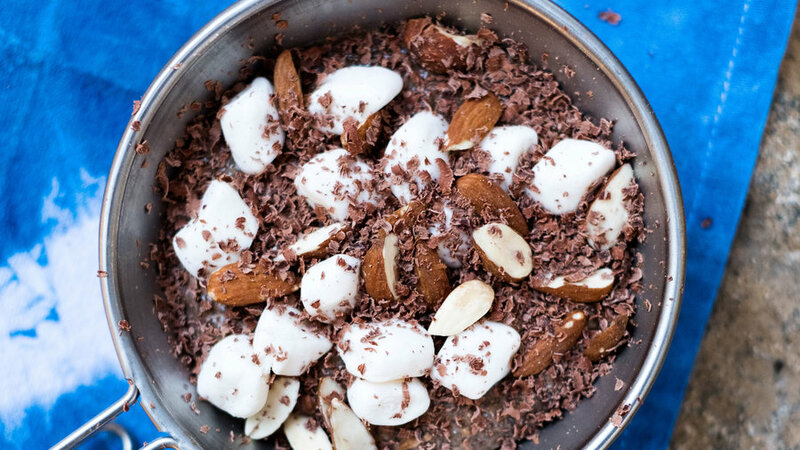 “You might think you can’t bring fresh thing backpacking,” says Aimee Trudeau of Dirty Gourmet. 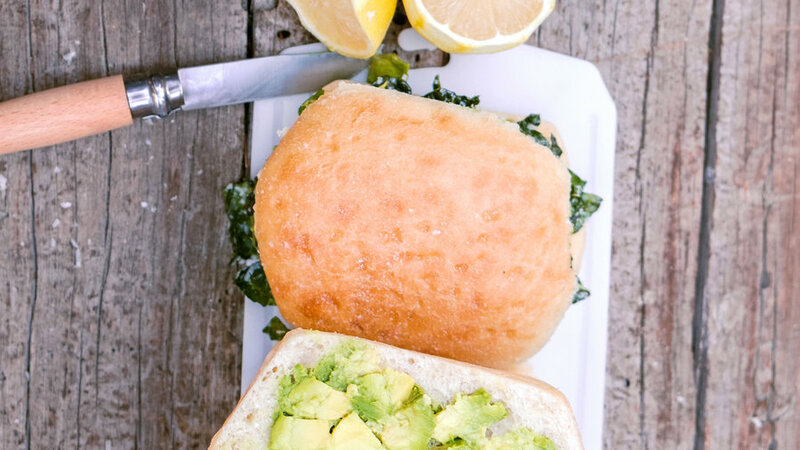 “But kale, lemon, and avocado keep a long time.” When we’re in town, we like to keep their kale salad sandwiches in mind for brown-bag lunches, too. 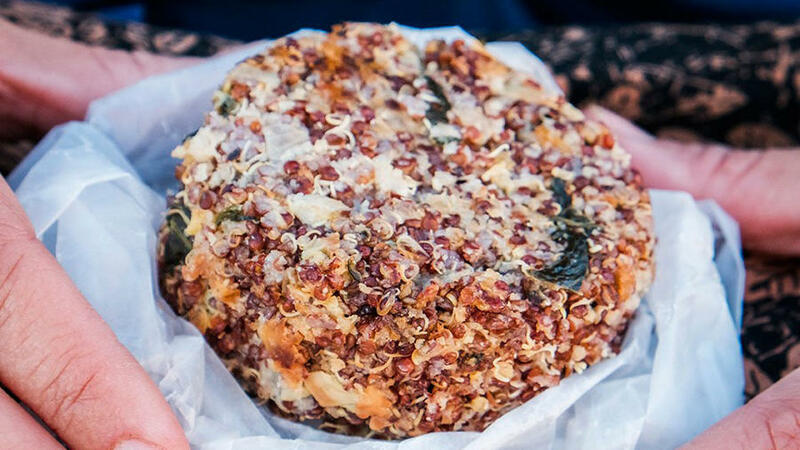 Imagine a cheesy grain bowl—in portable cake form—and you’ll get the idea behind these addictive and nutritious snacks. 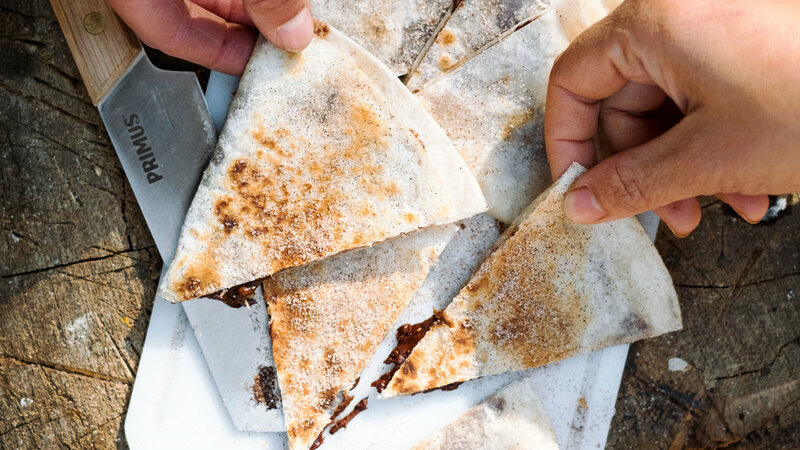 Want to watch dehydrated ingredients make a magical, crowd-pleasing transformation? 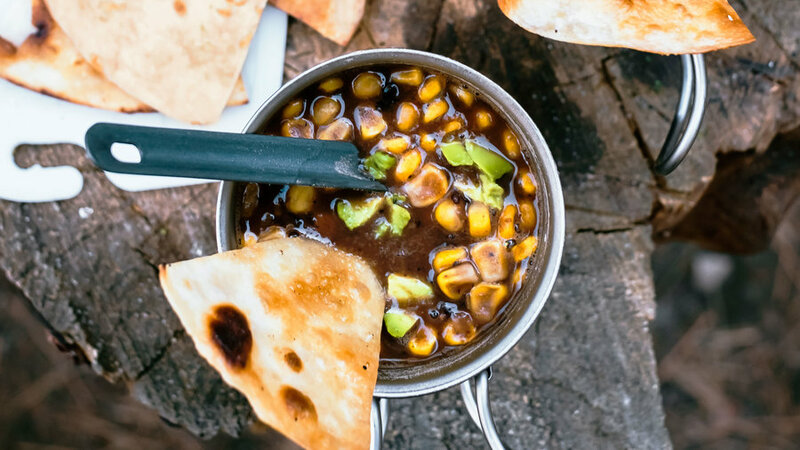 Whip this up in camp, and see the faces around your stove light up. 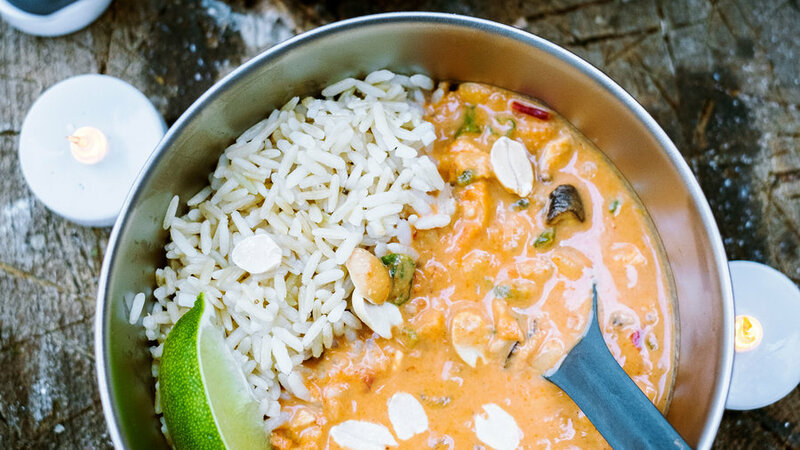 Because the dry mix for this filling, gently spiced soup is divided into two bags, you can easily cook just half of it at a time if you want a lighter meal or are serving only two people.